“The fungal plant disease myrtle rust has been found for the first time in the Auckland region,” MPI reported. “The Ministry for Primary Industries (MPI) says a serious infection of several hundred Lophomyrtus (ramarama) plants has been confirmed on a commercial plant production property in the Waimauku area of west Auckland. “Myrtle rust is a fungus that attacks and can seriously affect myrtle species plants including some significant natives such as pōhutukawa, mānuka, kānuka and rātā. The male tourist who was killed, probably by drowning, at a spa park in Taupo on Tuesday has been named as Chinese national San Qing Lu, the coroner’s office has said. A cyclist was killed in a serious crash in Meadowbank which occurred just after 4pm today involving a car. Police insist the deceased has received critical injuries and has been taken to hospital. Fate of pedestrian hit by car and seriously injured is unknown! Police can now release the name of the man who died in a crash on SH2 in Mangatawhiri on Sunday 19 November, 2017. He was 42-year-old Ilati To’a from Meremere. Three suicides in Whangarei in under four days! There have been at least three suspected suicides by young people in Whangarei in four days, two of them high school students, Northland Health told RNZ. The victims include a boy aged just 13, a 15-year-old girl, and a 22-year-old man. Northland’s suicide rate doubled last year, with 36 people taking their own lives, the report said. Are the illiterate NZ police also “tone stupid”? So, what seems to be the problem? Urgh… he was found dead! They seek them here, they seek them there, dead bodies strewn everywhere! A male has been found deceased at Mangawhai Heads in Kaipara District, early this morning. 12 Days and only three road fatalities??? Who are you kidding? 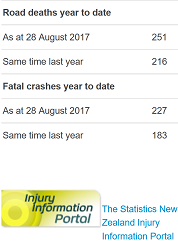 Only three road fatality reports allowed by police over the past 12 days! 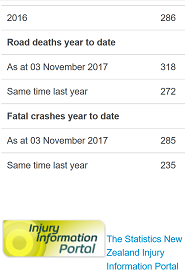 Only three road fatality reports have been allowed by police since Saturday, November 3, despite at least 121 serious crashes being reported locally, over the period, as of posting, making the officially released road toll a double statistical impossibility. At least two more road crash victims, who were critically injured during Bloody Friday car collisions, have since died from their injuries, according to [unconfirmed] insider information, raising the total death toll from car and train incidents to at least ten. Blog moderators are also advised [unconfirmed] that the two victims of southbound train from Papakura to Pukekohe collision on Blood Friday were travelling in a vehicle. A second German woman has passed away following the fatal collision in Oakleigh on Wednesday 1 November, 2017. Police have not reported her death. 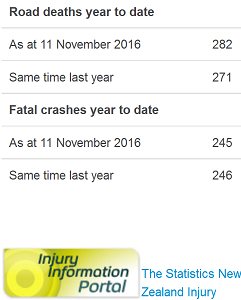 At least 17 serious crashes have occurred over Saturday and Sunday, which the police/MSM have NOT reported. The casualty toll is not yet available through our sources. The above list adds at least FIVE additional fatalities to the actual road toll, which remains unreported by police. The woman who was killed in a crash on Waitotara Valley Road, Taranaki on Sunday 29 October 2017 [first reported by this blog] was 21-year-old Angelika Melisa Loukas, a Canadian national living in Waitotara Valley. Korean national was the victim of fatal crash in Linwood, Christchurch on 31 October. She was named as 30-year-old Hyunseo Lee, a Korean national studying in Queenstown. 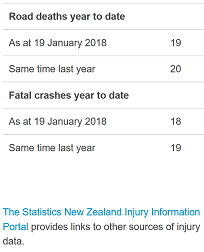 NO road fatality report was allowed by police since Saturday, as of posting, despite at least 31 serious crashes reported locally over the three-day period. NZ Has World’s Highest Teen Suicide Rates! Support services at Otago University are responding to a major increase in calls for help with mental health after a surge of student suicides. The [reported] number of people taking their own lives in New Zealand continues to rise, according to [most probably doctored] figures released on Monday by Chief Coroner Judge Deborah Marshall, said a report. 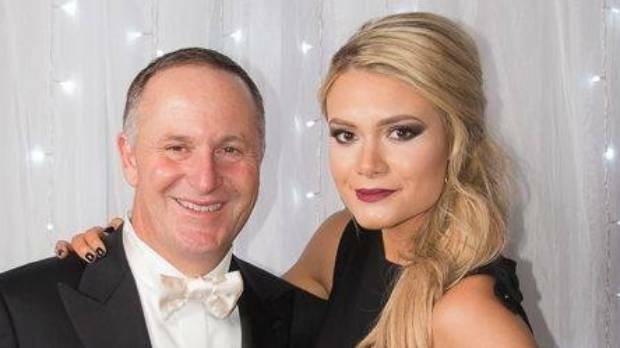 Some 606 Kiwis took their own life in the 2016-17 year, up from 579 the previous year and 564 in the 2014-15 year. The provisional suicide “Deaths by DHB” report, cites Canterbury is the most suicidal region in New Zealand with 79 deaths in the year to June 2017. At least one person was found dead at Kelston Boys’ High School in Auckland, according to reports. A 23-year-old woman who suffered a head injury in a rugby league match in Hawke’s Bay has died in Hawke’s Bay Hospital. A dairy in the central Auckland suburb of New Windsor was robbed at gunpoint this afternoon, with the offenders taking cash and cigarettes. Bar staff at the Kaipara Tavern in the north-west suburb of Helensville escaped unharmed after an aggravated robbery with a gun at an Auckland pub. A fatal collision involving a cyclist and at least one vehicle occurred on Featherston Street, Palmerston North this afternoon, police said. A male pedestrian was killed in serious crash with a truck on Tarawera Road in Rotorua this morning, police said. One person was killed in Upokongaro, 10kms north of Whanganui, at about 2pm on Sunday, police said. Monday, August 28. 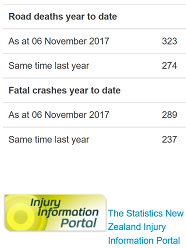 Only two road fatality reports allowed by police, today, as of posting, despite at least 14 known serious crashes that have been reported locally. At least FIVE, possibly as many as SEVEN, people were killed in serious crashes on Wednesday, August 23, according to an informed source, but only three fatalities were reported by police. At least FIVE are killed, THREE critically injured on NZ roads so far today! BAD KARMA BOOMERANG: One in 20 NZ high school students attempts suicide each year, according to new survey. Government censorship of suicide must stop as research shows so many young people trying to take their own life each year. The driver of a car and two passengers were killed violently in a crash in Levin just after midnight this morning. “The crash occurred shortly after midnight this morning on Cambridge Street, Levin. A car has driven into the back of a large truck and trailer unit that was parked on the side of the road. The victim was allegedly walking down the middle of Kitchener Street “impeding traffic” when a vehicle stopped near the victim and words were exchanged between the victim and the occupants of this car. An UNREASONABLE business lobby group is disappointed an Australian state premier wants to ignore the Closer Economic Relations (CER) agreement with New Zealand in favour of local companies. Mobil petrol station in South Auckland has been robbed three times in the last three weeks. Luckily no customers have been killed or injured, so far. A worker has been injured trying to stop armed robbers taking cash and cigarettes from the BP service station in Kumeu, west of Auckland. NEW ZEALAND THE HAPPIEST COUNTRY IN THE WORLD!!! Government censorship of suicide has to stop as research shows about one in 20 secondary school students report trying to commit suicide each year. Products dishonestly labeled as “green” include harmful commercial cleaning items, building materials and toiletries. Greenwashing was everywhere. A stamp from Environmental Choice meant a company could substantiate claims it made to being sustainable, despite the truth. “It’s rife, to be honest, greenwashing can mean all manner of things,” says Environmental Choice general manager Francesca Lipscombe. Nelson lawyer found dead in crashed car: Murder, Suicide, or Death by Driving in NZ? NO vehicle-related fatality report allowed as of posting today. Based on insider information, statistical models and local news, WE believe two out of every three road fatalities on NZ suicide roads go unreported, mainly to protect the tourist industry and foreign investment. Every death in New Zealand must be regarded as suspicious, unless investigated by qualified, independent (non-NZers) investigators. EIGHT days after the body Bowers, 52, was found dead in a crashed car, police say his death is being treated as a suspected suicide. A 29-year-old Polish tourist driving an SUV was involved in a head on crash on SH47 west of Turangi on Monday morning… A 38-year-old American driving the other car, a Subaru, suffered a broken wrist, his front seat passenger escaped injury, but the two men who were travelling in the back seat of the car sustained serious injuries and were airlifted to Waikato Hospital. All three passengers in the Subaru were from the Czech republic, police said. Out of the frying pan, and into the fire? Actual figures show the number of Americans who obtained a New Zealand work visa in January was up ONLY 18 per cent from 2016, as was the number of Americans who visited the country. Already 1 million cubic metres of waste water and raw sewage is pouring the harbour each year. The waste is flowing into the harbour from 41 points around the inner city suburbs almost every time it rains. Road Fatalities: News Blackout is in effect today! Two young girls, aged 9 and 10, have taken their own lives in unrelated incidents: A nine-year-old Kaitaia girl died of self-inflicted death in Auckland’s Starship Hospital early January; a 10-year-old Auckland girl died by apparent suicide at her home in Swanson, west Auckland on Friday. At least eight children aged 10-14 committed suicide last year, compared with 10 kids in the same age group in 2015, according to the provisional suicide figures released by the Coroner’s Office. A child in the 5-9 age group died by suicide in 2012 – the youngest since suicide statistics were recorded in 2007. Indian students are seeking sanctuary in an Auckland church as they face deportation over fake visas. More than 150 students, who have each paid about $20,000 each to arrange for students visas, face deportation from NZ because their supporting visa documents had been forged by agents in India. WTF: Parents accused of letting sick child die have fled to New Zealand!!! 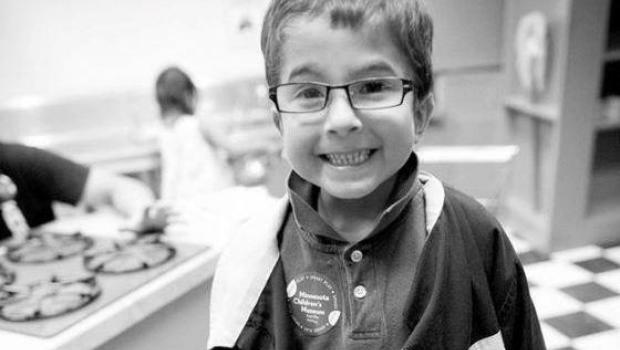 “Timothy and Sarah Johnson are accused of gross misdemeanor child neglect for failing to get medical help for their adopted son, Seth, who died in March 2015. The campylobacter outbreak Havelock North last August, made more than 5,000 people violently ill and has been linked to three deaths. A government inquiry is looking at how the town’s water supply was contaminated by sheep feces in a pond near the water bores. E-coli has been found in a Hawke’s Bay water reservoir that supplies much of Napier. The Ministry of Health, local GPs, and schools have been asked to report any increase in sickness. The Fake President has been sued dozens of times during his first days in the White House. Will we ever know the true extent of suicide problem in New Zealand? The female suicide rate was more than twice the male rate. The highest rate among females was for those aged 15 to 19. There were 508 suicides in 2013, said the Ministry of Health (MoH) in its annual report. The age-standardised suicide rate was also manipulated to 11 deaths per 100,000 population, allegedly down from the 1998peak rate of 15.1. There were 541 suicides for 2012/13, 529 for 2013/14 and 579 for 2015/16, according to the coroners’ [still] provisional statistics. There were 7,267 hospital admissions for intentional self harm in 2013, or a rate of 176.7 per 100,000 population. Despite the highly manipulated suicide stats in New Zealand… We have the highest rate of teen suicide in the developed world.